Happy Birthday. May God fill your needs and purpose in life. He loves you so much He wants the best for you. strength and peace in your heart. even before your words leave your mouth. He is all around you - in front of you and behind you. Feel his hand on your shoulder. Have a nice birthday and blessings all year long. 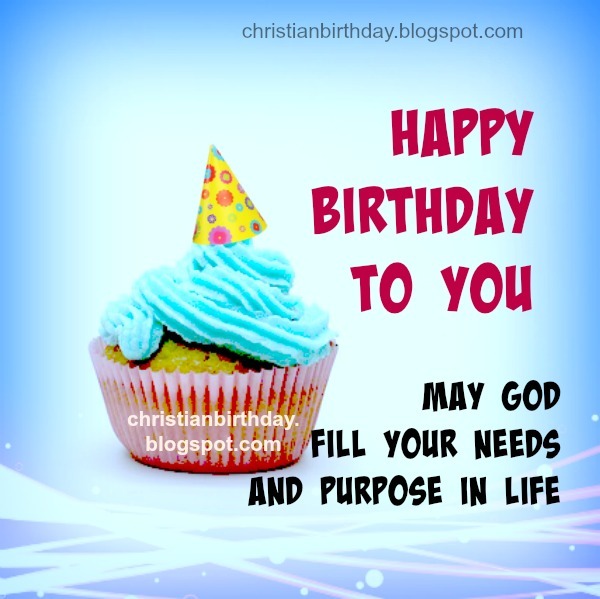 free christian birthday cards by Mery Bracho.